Sky Sports pundit Mathew Upson believes Chelsea could have stuck with Cesc Fabregas for the remainder of the season with the Spaniard providing an attribute which is presently lacking within the squad. The Spaniard barely featured for the Blues in the Premier League this term but Upson feels the midfielder’s eye for a forward pass could have benefited them against Arsenal in the recent London derby. 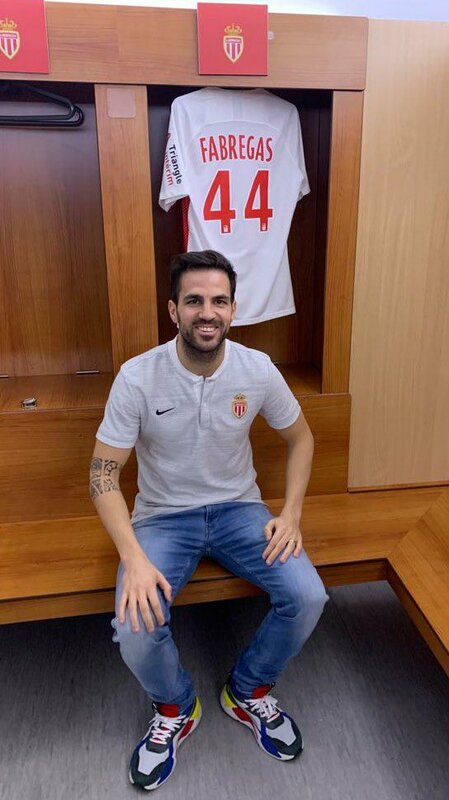 Fabregas had been a valuable contributor for the Blues over the past four-and-a-half years but he took up the challenge with Monaco after it was evident that the west London club would not offer him more than a year’s extension when his contract expires during the summer. With his departure, the club have been linked with the likes of Leandro Paredes and Nicolo Barella but so far, the club have made no major strides towards recruiting either midfielder. Chelsea are currently occupying the fourth position on the standings but their place remains feeble for the moment with Arsenal and Manchester United just three points behind them. One of the prime reasons behind the recent league form has been the lack of firepower upfront but there have also been concerns over the showing of Jorginho, who has been found out over the past few months. Based on Sarri’s style of play, Jorginho has been earmarked as the orchestrator with his passing making the team tick, but the opposition have found ways of closing down the Italian of late. The same was the case during the Blues’ recent 2-0 defeat to the Gunners where Aaron Ramsey was largely tasked with the role of man-marking Jorginho. Next Article Cesc Fabregas: A player loved by two London clubs.